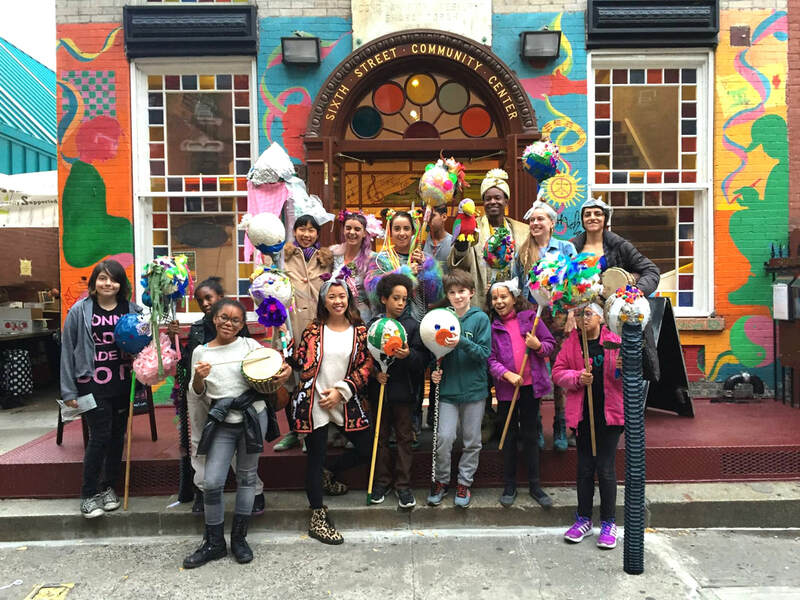 ​Sixth Street Youth Program (SSYP) is a dynamic after school program that offers New York City youth (ages 6 and up!) quality after school workshops in an intimate class setting. With a limited enrollment of up to 30 students per day and an average staff to student ratio of 1:5, each child receives thoughtful guidance and support that is needed to foster their individual and creative growth. DATES: SEPTEMBER 5 THROUGH JUNE 21. TIMES: MONDAYS THROUGH FRIDAYS, 3 PM - 6PM. RATES: Sliding scale based on on family income. Rates range from $50-$190/week. Families earning less than $80,000 qualify for reduced rates. Taught by professional artists and experienced teaching artists, we explore a diversity of mediums such as acrylic, textiles, ink, clay and watercolor. Past projects have included batik dye, tye-dye, pillow making, weaving, mixed-media, Suminagashi water ink prints, collograph and lino-cut printmaking. Our students have access to the 5th Street Farm located on Earth School's rooftop one day a week. Students learn how to maintain an urban rooftop farm and harvest produce from the earth. We will often use fresh veggies and herbs that we harvest up on the garden in addition to our center's CSA produce in cooking workshops!